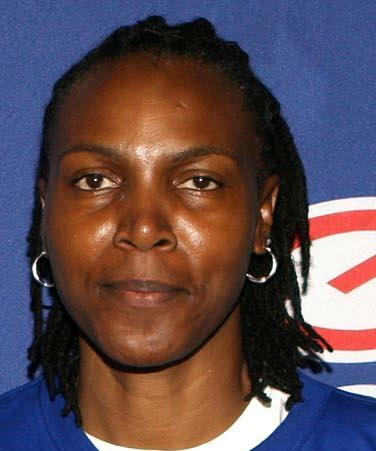 Joyce Jenkins has accumulated a number of honours in her years associated with basketball. Her profile reads Assistant Coach, USA All Air Force Basketball Team; Head Coach University of Maryland Eastern Shore; Assistant Coach, University of Maryland, College Park; Assistant Coach, St John’s University; Academic Coach, National Football Foundation and she is currently the President of Future Incorporated. Marvin Harvey is the chairman and founder of “C5D Inc Foundation” and Harvey’s Shooters Touch Academy. He is also the Director of Basketball Operations at the Champions Sports Complex of Orlando. Marvin is an extraordinary humanitarian who started the National Academy for Teaching Basketball from scratch. YeRushia Brown, WNBA veteran and former Furman University basketball standout played internationally for 10 years during which she won 9 international championships and was inducted into the hall of fame during her varsity years. She is currently one of the coordinators of the overtime4life programme which hosts various Co-ed Camps & Clinics focusing on the development of strong fundamental skills as well as personal advancement. For the last three years, Carl Mattei has been coaching the Regis Jesuit Varsity Girls program. He also leads the Mile-Hi Magic Club with 8 teams participating around the country in the highest level college preview tournaments. Carl has been an Adidas All-Star camp coach each of the last five years and coached the L’adidas High School All-American game at the 2002 NCAA Final Four in Atlanta, GA. Carl has had 85 girls from his club team move on to NCAA Div I careers, playing at such schools as Stanford, UNC, Arizona State, Colorado, Colorado State, and Missouri to name a few.